Nitrogen (N) and Phosphorus (P) statements for the period January 1 to September 30, 2014 are available online for all farmers registered with agfood.ie the Department of Agriculture, Food and the Marine has announced. These N&P statements are a valuable tool, especially for the more intensive farmers, and should assist them in deciding whether or not they need to change their farming practices before the end of the year to stay within the limits set down in the Nitrates Regulations. The Department also confirmed that it will notify certain farmers in the coming days of their interim Nitrogen and Phosphorus statement covering cattle numbers held on the farm for the nine-month period January 1 to September 30, 2014. This will be done by text message with messages issuing to those farmers whose cattle numbers would indicate that they may be approaching or exceeding the limits set down in the Nitrates regulations. This follows on from a similar exercise earlier this year for the six-month period January to June. Farmers not already registered for agfood.ie can do so by logging onto www.agfood.ie and clicking the ‘Register’ button. 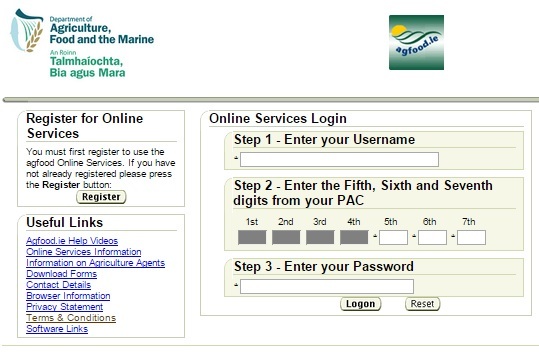 To register a mobile phone number for future SMS text alerts log on to https://www.agriculture.gov.ie/mobileupdates/ to access the sign-on form, or alternatively contact the regional office. If a herd owner does not have access to online or SMS text alert notification services, the interim N&P statements can be obtained from the regional offices or from the Department’s Nitrates Section, Johnstown Castle, Wexford. Farmers and advisors are reminded of the requirements to have all Record of movement of organic fertiliser (Record 3) and Proof of 2014 Rental/Grazing agreement (Record 5) forms submitted to Nitrates Section, Johnstown Castle Estate on or before December 31, 2014. Forms received after that date will not be eligible for nitrates credit. The only acceptable proof of postage will be Swift Post or Registered Post receipts.